In preparation for the National Health Nutrition Campaign, Al Jisr Foundation successfully concluded a training programe called “Communication for Behavioral Impact (COMBI) in Health and Social Development”, held at Muscat Holiday Hotel, in partnership with Ministry of Health (MoH) and World Health Organization (WHO). This programme aimed to influence some of the common unhealthy dietary behavior in the local community, equipping participants with essential skills in communication, awareness, and health education through implementation of flexible, seamless, and practical models in promoting healthy behavior, enabling the health personnel to market strategic objectives, hence influencing targets’ nutritional behavior. The programme was as a result of the national nutrition survey conducted in 2017, which showed the prevalence of malnutrition problems in the Sultanate. Also, the survey revealed that most of the prevailing nutritional problems among the population need an intensive intervention to be resolved. 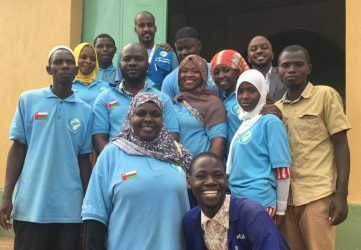 Thus, this training programme was organized to enhance the efficiency of communication to the citizens and to identify practical and simple behavioral solutions, aiming to understand the habits of the local communities to create impactful and effective messages. As Al Jisr foundation believes in the importance of boosting graduates’ talents by engaging job seekers and the graduates in local initiatives and projects. Therefore, providing an opportunity for youth to create positive impact, including them as focal volunteers in upcoming stages in the National Nutrition Campaign. This programme involved lectures, discussions sessions, workshops, field visits and research, focused on practical learning and highlighted behavioral impact, presented by a representative of WHO, Dr Everlod Hussein, senior communications advisor-consultant. 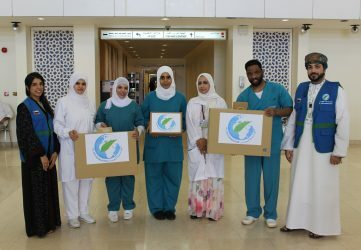 The programme targeted number of health personnel from different regions in Oman: specialists, technicians, administrators, and nutrition graduates. The National Nutrition Campaign aims to improve the nutritional status of the Omani population in Sultanate of Oman, and will target the health workers and caregivers hospitals, health-centers and antenatal care units in the regions. The campaign is a 3 years project and will consist of three phases: preparation, expansion, and evaluation. The project will target in the initial stage the governorates of Al-Sharqiyah North and Al-Wusta, the two governorates most affected by stunting, and wasting. This initiative is considered one of the major partnerships that Al Jisr has undertaken, particularly in the health industry, pursing to achieve healthier and sustained lives in the society, by partnering with different stakeholders locally, and globally.